This is the home for Mystery of Israel radio broadcast. The program began streaming LIVE on Friday mornings from 7:45am to 8am EST on Asheville, NC’s WSKY 1230AM radio station on Nov 10th, 2017 and will end on Nov 9th, 2018. These broadcasts are not to be confused with highly recommended mysteryofisrael.org website featuring the writings of Reggie Kelly. 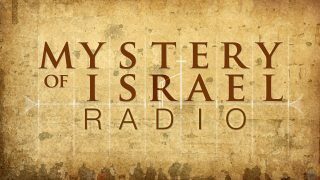 The Mystery of Israel radio program, with Tom Quinlan as host (while certainly inspired by the website of the same name) was started to be a local outreach to the Asheville, NC area. We believe that we are living at the climax of this age, and that the plans and purposes of God for this generation MUST be declared before men are held accountable. Our prayer is that a people from this local community will be prepared to love and serve God even while the prophesied flood of iniquity sweeps through the land. We also desire to be a witness of the coming mercies to the chosen descendants of Abraham, Isaac and Jacob. Below you will find links to the video and audio archives of each session. Additionally we will endeavor to provide links to download any of the music or other items referenced in each broadcast.